Do you have a special treat that reminds you of Christmas?? I do... it's my mom's fudge. She always makes a big batch for their annual Holiday Happy Hour on the last day of school. I spend the next week trying to (un)successfully avoid it because I know it's not the healthiest treat but holy moly it's delicious. I added a little twist to my version of the fudge by adding crushed candy canes to the top. It just adds a little peppermint crunch that I love. I hope you enjoy this super easy holiday dessert! 1. Line a square packing dish (8x8 or 9x9) with foil so it overlaps on the sides. 2. Bring the sugar, butter, and evaporated milk to a full rolling boil in a large saucepan on medium heat, stirring constantly. 3. Cook for four minutes or until a candy thermometer reaches 234 degrees fahrenheit, stirring constantly. 4. Remove from heat. Add the chocolate and marshmallow creme and stir until it's melted. Add the vanilla and mix well. 5. Pour into prepared pan and spread evenly. Crush candy cane pieces and sprinkle candy on top. 6. Let it cool completely and use foil to lift out of pan. I hope you love this super easy recipe as much as I do. 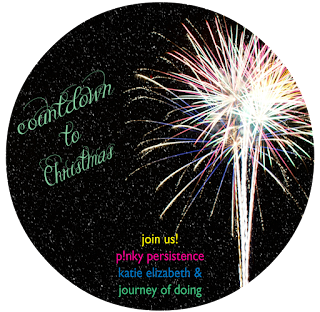 I am linking up with Jessica, Amy, and Alisha for the Bits of Cheer holiday linkup. 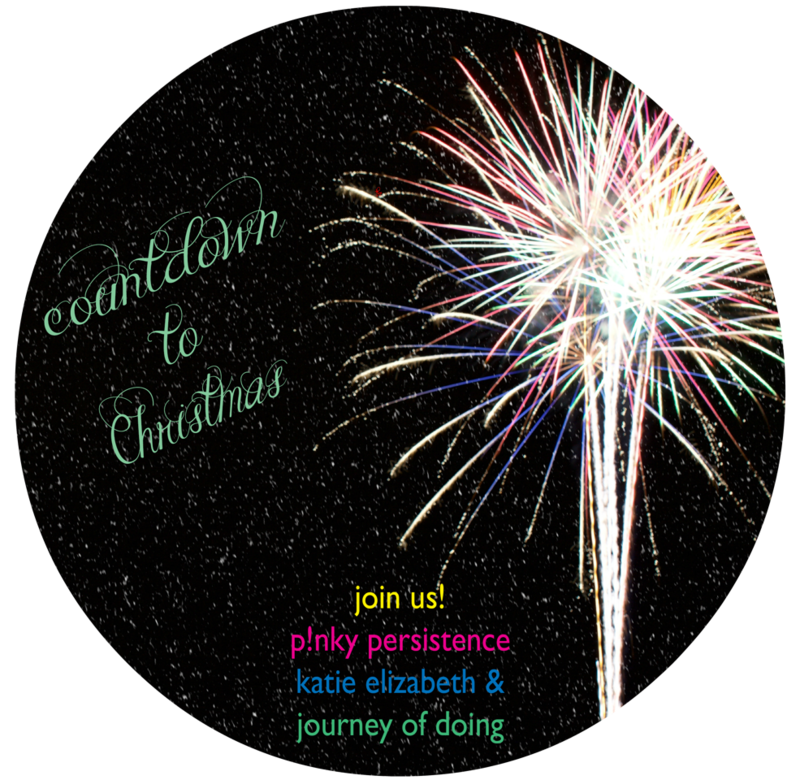 I'm also linking up with Katie, Pinky, and Sara for their Countdown to Christmas. Check out their blogs for more holiday goodness! Yummy, this looks delicious. My mom makes fudge during the holidays, we will have to add peppermint this year. Thanks for linking up. Fudge is a holiday staple in my family :) Merry Christmas! Um, that fudge looks delish! mmmm definitely adding this to my Christmas baking list! Oh my gosh! That looks so amazing! I have tried making fudge a few times and totally failed. I am so going to try this one! YUM! Thanks so much for linking up! I just got done making a batch of this exact chocolate fudge and peanut butter fudge done the same way except PB chips instead of chocolate obviously. I added chopped pecans to my chocolate. Yum!